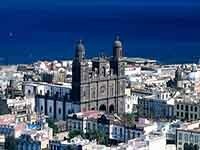 Las Palmas de Gran Canaria is the capital, as well as a major port, Gran Canaria, one of the Spanish Canary Islands. On this island in 1981 the IKEA store was opened. At the moment, there is only one IKEA store in Las Palmas de Gran Canaria.